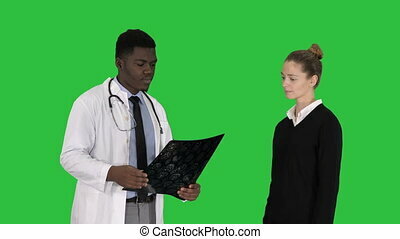 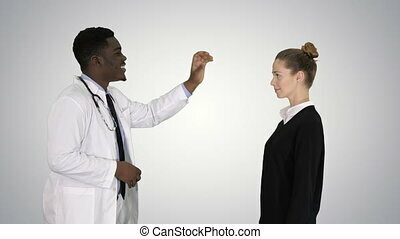 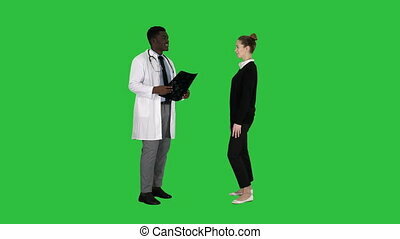 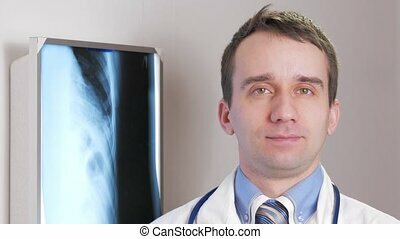 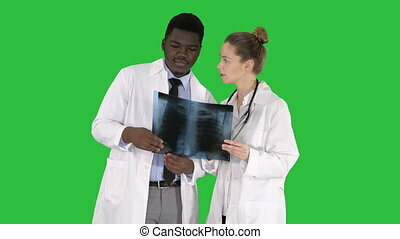 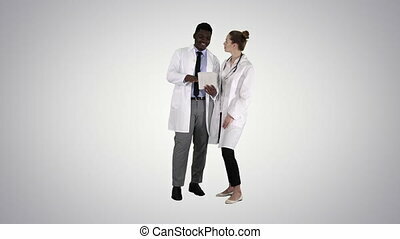 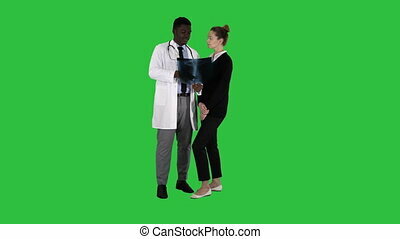 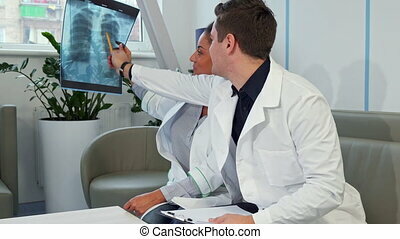 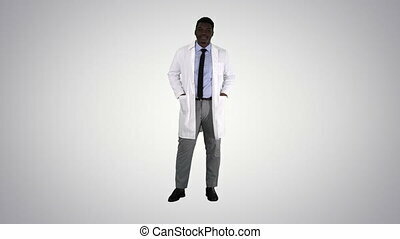 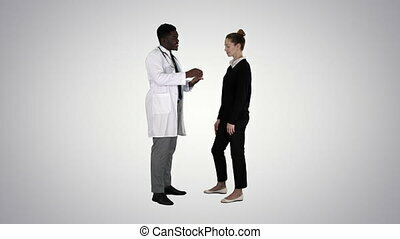 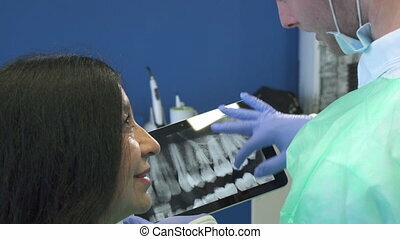 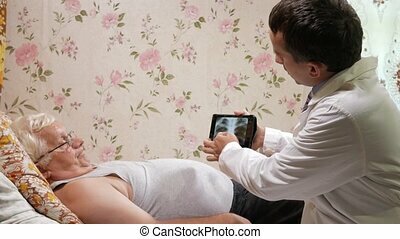 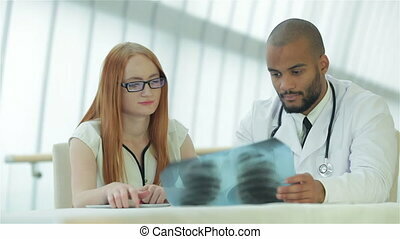 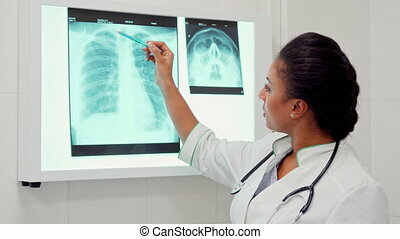 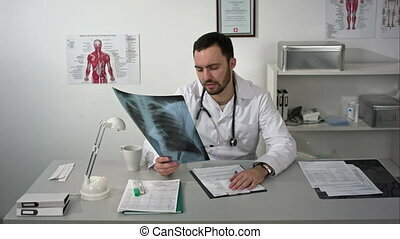 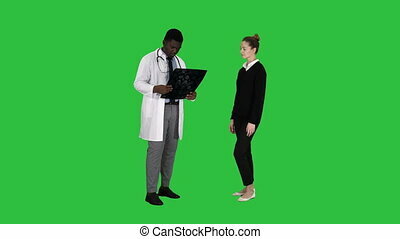 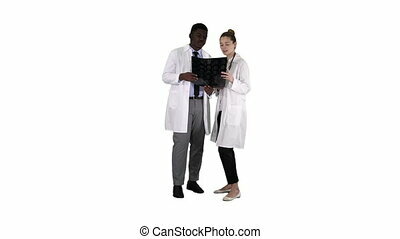 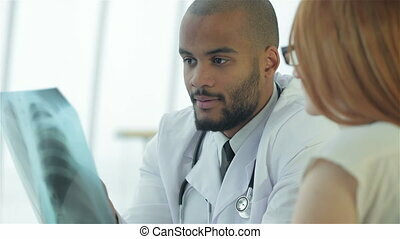 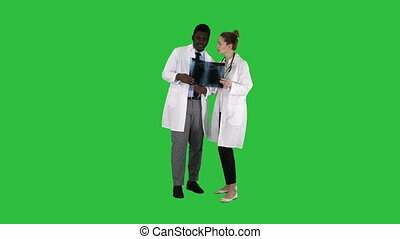 Doctor Shows The Patient Chest X-Ray On Gradient Background. 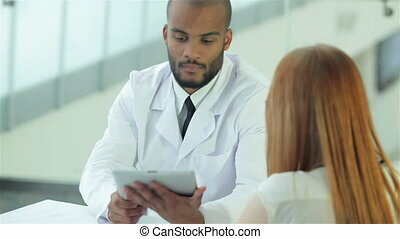 The doctor checks the patient data on the tablet. 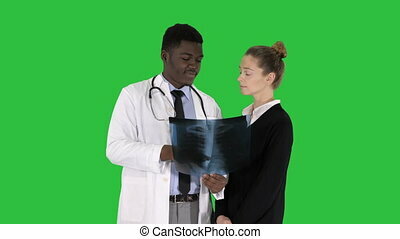 White wall and the X-ray viewer with ribs and rib cage on the background. 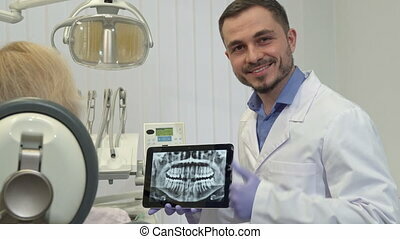 A young doctor looks at the camera and smiles. 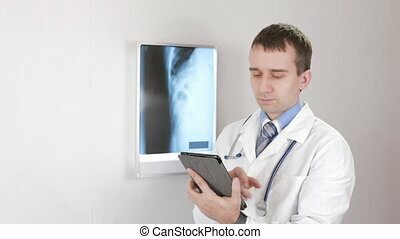 Against the background hanging x-ray of the patient. 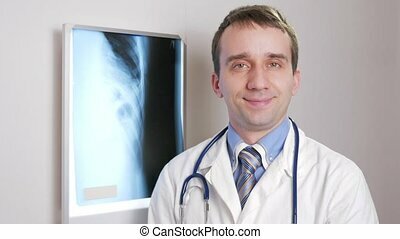 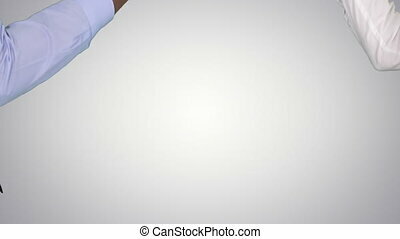 Shirt with a tie and a stethoscope on the neck.